U.S. will send special forces to Syria to fight ISIS. 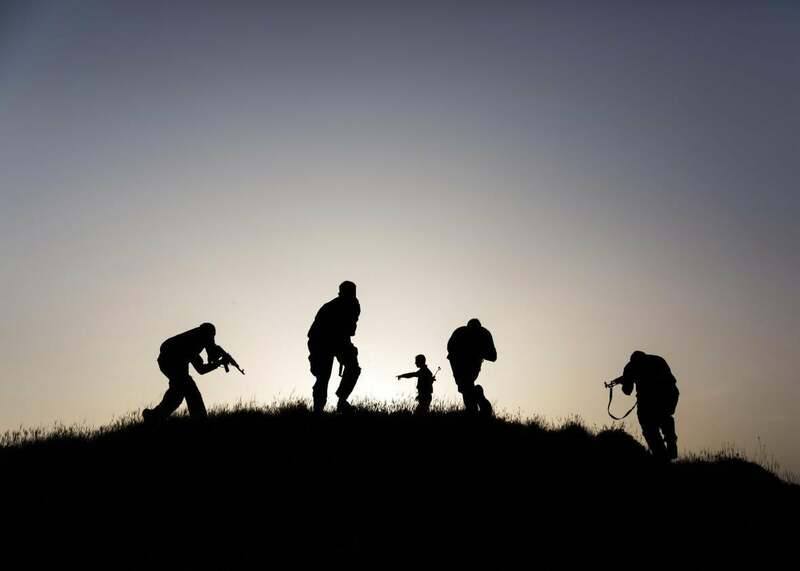 Kurdish People’s Protection Units fighters take part in a training session on April 29, 2015, in the southwest Syrian region of Ras al-Ain, close to the Turkish border. As Anne Barnard of the New York Times notes, the troops are most likely to work with the Kurdish-led forces currently fighting to reach ISIS’s capital, Raqqa, in Eastern Syria. Since Russia began its air campaign to aid Bashar al-Assad’s forces in western Syria, and the Pentagon’s program to train “moderate” rebels in that conflict proved a dismal failure, the White House has indicated that it is shifting its attention to the east, where Bashar al-Assad’s regime has little presence and where the Kurds and some allied Arab forces have had more success against ISIS. But U.S. efforts to supply these forces with weapons from the air have already gone awry, possibly leading to today’s decision to send in hands-on advisers. Given the dispiriting U.S. track record when it comes to training foreign forces, as recently discussed by my colleague Fred Kaplan, some skepticism is warranted. The battlefield in Syria is getting substantially more international, with American troops now joining the Iranian and Hezbollah forces, Russian “volunteers” already on the ground, not to mention al-Qaida and ISIS’s substantial contingents of foreign fighters. The Americans on the ground are likely to steer well clear of the Russians and Assad’s forces, further dividing the Syrian battlefield in two. It’s looking increasingly likely that Syria will not emerge from the current conflict as a unified state, or at least not one within its current internationally recognized borders. MCCAIN: you should do [x] in Syria! OBAMA: big risk of quagmire; what happens next? Given the number of times that Obama has already expanded U.S. involvement in the conflict, there’s no reason to believe that America’s “boots on the ground” in Syria will be limited to this small group going forward.